Thomas H. Van Putten, Sr.
Thomas Van Putten was born on September 12, 1947, in Grand Rapids, Michigan. He enlisted in the U.S. Army on September 15, 1966, and completed basic training at Fort Knox, Kentucky, in November 1966. Pvt Van Putten next attended advanced individual training as a construction machine operator at Fort Leonard Wood, Missouri, from November 1966 to January 1967, followed by service as a construction machine operator with the 362nd Engineer Company and with Company C of the 588th Engineer Battalion in South Vietnam from February 1967 until he was captured and taken as a Prisoner of War on February 11, 1968. After spending 412 days in captivity, SP5 Van Putten escaped from his captors on March 28, 1969, and made it to friendly forces on April 17, 1969. He then returned to the United States and was briefly hospitalized to recover from his injuries at the U.S. Naval Hospital at Great Lakes, Illinois, from April to July 1969. 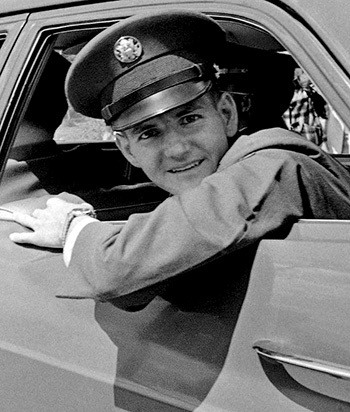 His next assignment was as a light vehicle driver for the U.S. Army stationed at Selfridge AFB, Michigan, from August 1969 to June 1970, followed by service as a heavy vehicle driver with the 396th Transportation Company in West Germany from June to November 1970. 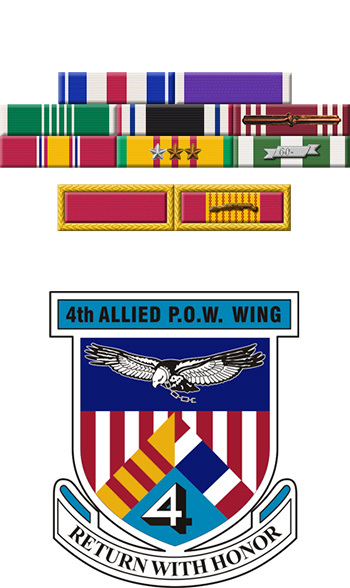 He served as a heavy vehicle driver with the 538th C&S Company in West Germany from November 1970 to January 1971, and then as a heavy vehicle driver and information specialist with the U.S. Army Combat Developments Command Transportation Company Support Battalion at Fort Ord, California, from February to September 1971. SP5 Van Putten next served as an instructor with the Basic Combat Training Committee Group at Fort Ord from September 1971 to April 1973, followed by service as a heavy vehicle driver with the 513th Transportation Company at Fort Lewis, Washington, from April 1973 until his honorable discharge from the Army on September 12, 1975. Thomas Van Putten died on October 25, 2008, and was buried at the Chapel Hill Memorial Gardens in Grand Rapids, Michigan. Specialist Five Thomas H. Van Putten distinguished himself by outstanding gallantry in action on 28 March 1969 while a prisoner of the Viet Cong in South Vietnam. On 28 March 1969, after more than one year in a Viet Cong prison camp and after attempting to escape on two previous occasions, he was able to deceive his guard and slip unnoticed from the rear of his bunker into the thick jungle surrounding the PW Camp. For 21 days, Specialist Van Putton utilized every bit of training he possessed, continuously evading the Viet Cong attempts to recapture him, and narrowly missed being recaptured on two separate occasions. In one instance he placed his black colored underpants over his head for camouflage, and getting into the water, pulled himself along with his hands on the bottom of the stream to a position down-stream and away from the enemy. Over the 21-day evasion period he survived on a frog, lizard and a few pieces of sour fruit. Specialist Van Putton's determination and internal fortitude were demonstrated by continuous movement toward what he believed to be friendly positions. Upon recovery by United States forces he was so weak that he could only walk 15 or 20 feet at a time before blacking out and collapsing. Upon return to United States control, he sought to provide information in order to assist in the rescue and recovery of his comrades still in enemy hands. Specialist Van Putton's burning determination to escape, undiminished after two unsuccessful attempts, his clearheadedness in formulating an effective plan and his audacity in executing it successfully, reflect the highest credit on his professionalism and courage and are in keeping with the highest traditions of the military service.